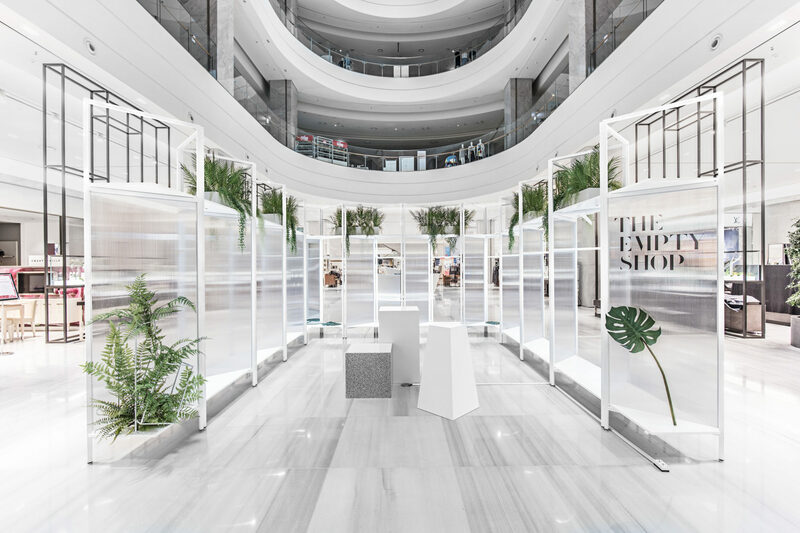 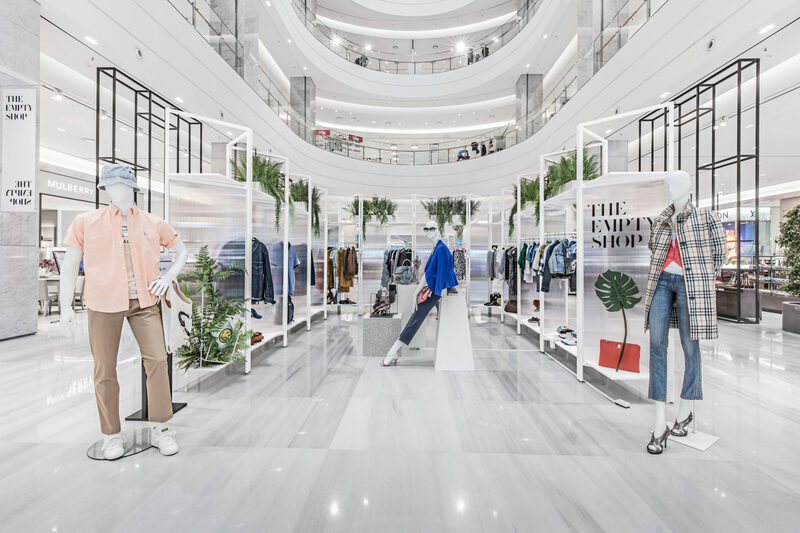 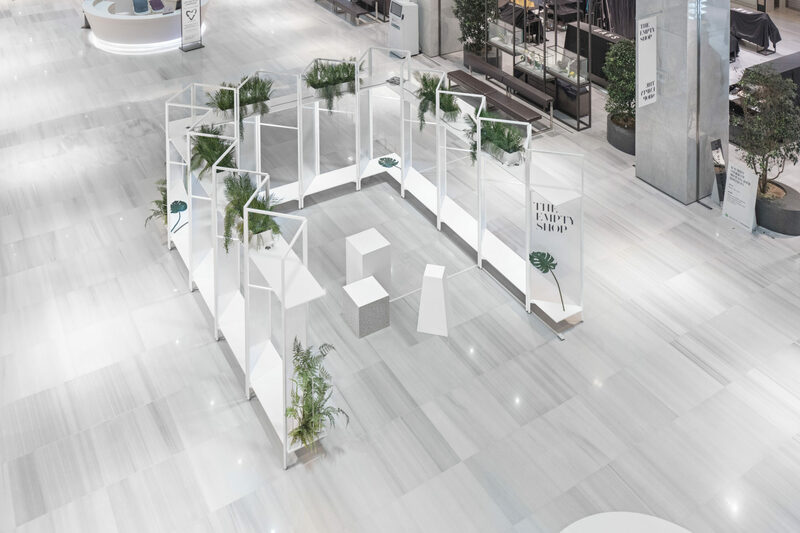 We designed a foldable display fixture for The Empty Shop pop-up store by the Hyundai Department Store in the city of Pangyo, South Korea. 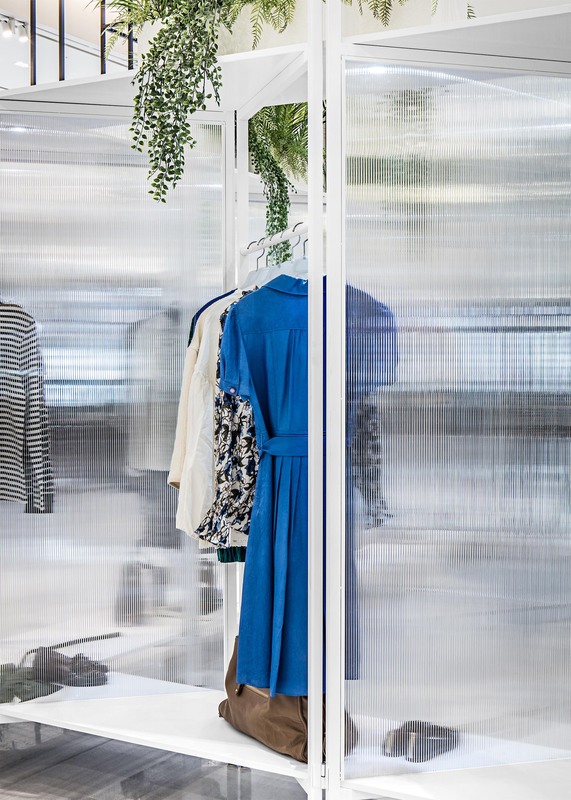 The folding screen structure can be opened to display donated clothes and can be folded back after the event. 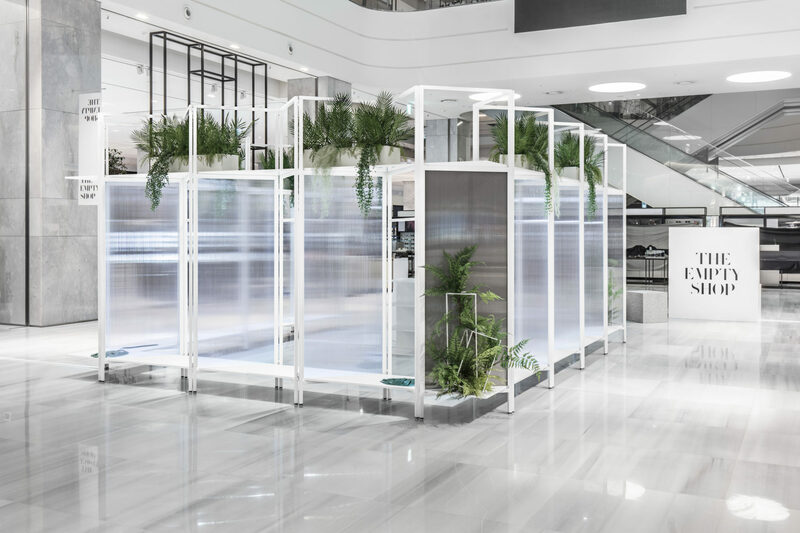 Since this pop-up store begins completely empty we sought to have the minimal structure blend in with the surrounding, by using semi-transparent panels.